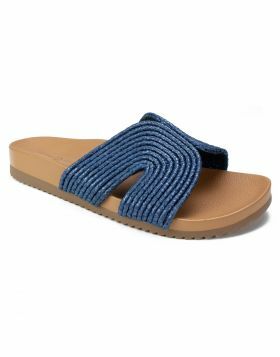 The iconic summertime look of the crossband flatform slide is yours with the Bradlie espadrille sandal by Seven Dials Shoes. 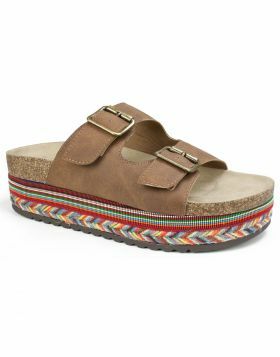 The molded suedette footbed adds lasting comfort to this casual style. Heel height: 2 3/4 inches.